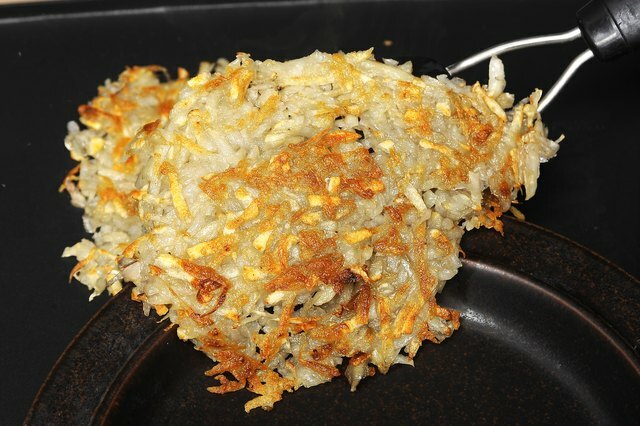 Hash browns or home fries, shredded, sliced or cubed -- the technique you use for preparing potatoes on the griddle differs among dishes. You can, however, narrow them down to two main methods: with precooking and without precooking. 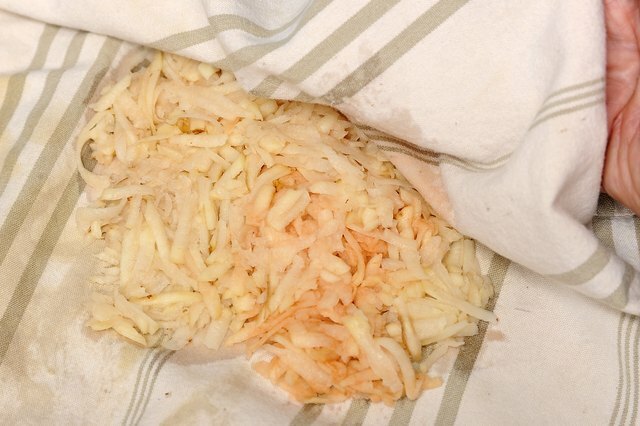 Shredded potatoes do best uncooked and stripped of most of their starch. 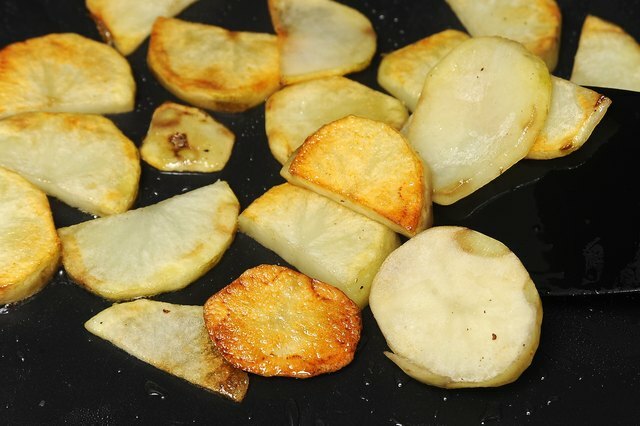 Sliced or cubed potatoes, such as those used in home fries and Lyonnaise potatoes, require precooking to develop a crispy finish. Heat the griddle to medium. 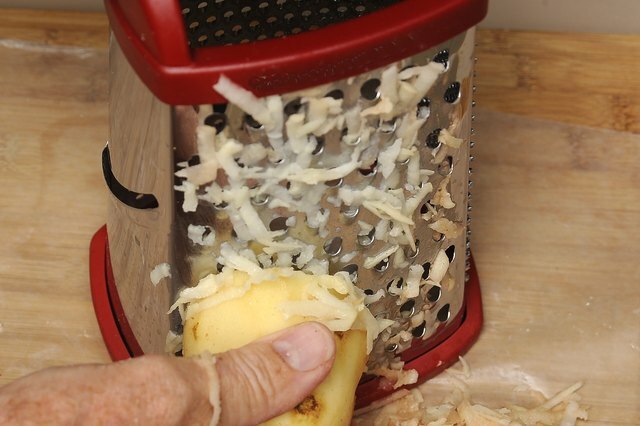 Grate the potatoes using the coarse side of a box grater. 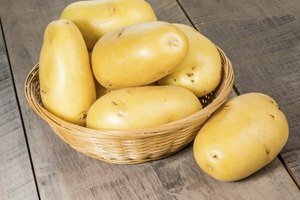 Wrap the potatoes in a tea towel or a piece of cheesecloth and wring the water from them. 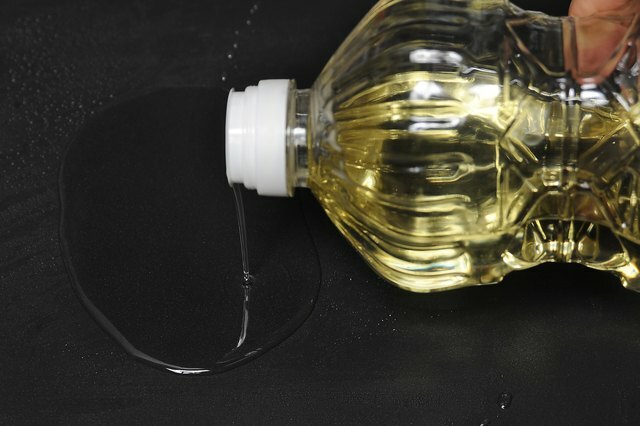 Pour a few tablespoons of oil on the griddle. Sprinkle the potatoes in an even layer about 1/4 inch high in the center of the griddle and season them to taste with kosher salt. Cook the potatoes for about 5 minutes. Set the griddle to low and flip the potatoes. Press the potatoes down firmly and cook until browned on the bottom, about 5 more minutes. 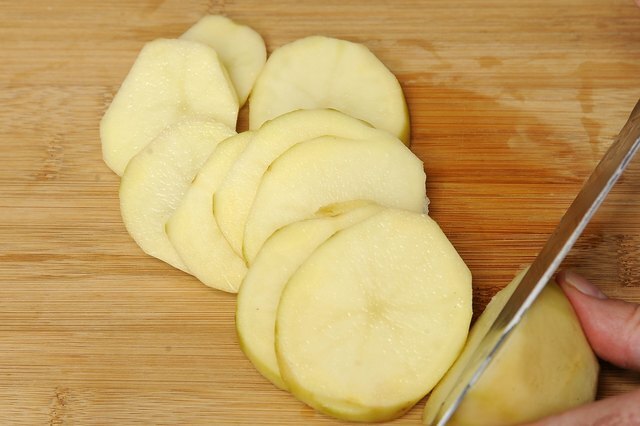 Cut the potatoes into 1/2-inch-thick slices or 1/2- to 3/4-inch-thick cubes. 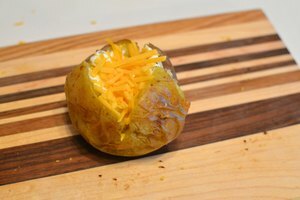 Microwave the potatoes in a pile between a couple of layers of paper towels on high for a minute per cup. 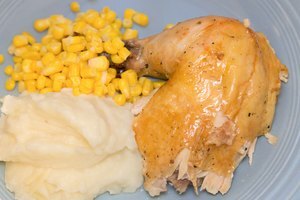 Microwaves work best because the potatoes don't jostle during cooking, which results in a firmer exteriors. You can also boil the potatoes until barely tender or for about 5 minutes. Let the potatoes cool and heat the griddle to medium-high; add a few tablespoons of vegetable oil. If you're making hash, fry chopped bacon, chorizo or pancetta and use the rendered fat; transfer the pork to a plate when finished. Add a couple of tablespoons of vegetable oil to the griddle in addition to the pork fat and heat it until it shimmers on the surface. 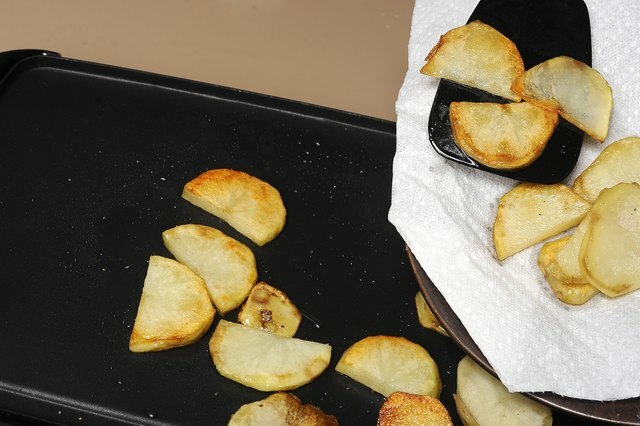 Spread the potatoes on the griddle in an even layer and season them to taste. Cook the potatoes until golden brown and crispy on all sides, about 20 minutes. If you're using garlic, onions or other aromatics, add them about 10 minutes after the potatoes. Transfer the potatoes to paper towels to drain. If you're making hash, cook finishing ingredients, such as eggs, in the hot fat still on the griddle. 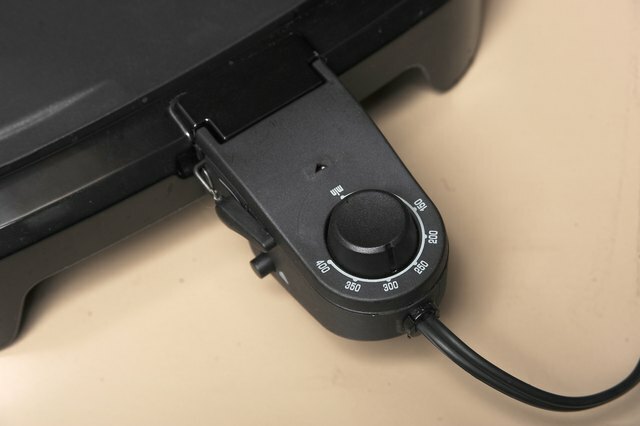 If you're using a griddle plate instead of an electric griddle, set it over two stove burners.